Phoenix Foods is a Corby-based developer and manufacturer of a wide range of dry food products which it supplies to retailers and supermarkets. Product lines include instant desserts, custards, corn flours, hot chocolate drinks and teas. The business is headquartered at a 55,000 square foot site which incorporates a 25,000 warehouse facility in Corby, Northamptonshire. From here, Phoenix distributes to supermarket chains and other retailers across the UK. 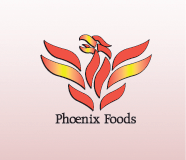 In 2008/09, following a change in the ownership structure of Phoenix Foods, the company embarked on a strategy for the rapid expansion of its product portfolio, manufacturing infrastructure, packaging lines and warehouse facilities to serve its growing base of retail clients. To support this growth programme, Phoenix’s Operations Director, Gary Rutter, was tasked with overseeing a complete overhaul of the warehousing and logistics functions of the business. One of the first tasks was to undertake a review of the existing warehouse and logistics facilities and operations. The first requirement identified by the review was a modernisation of the existing warehouse facilities, starting with a doubling of warehouse capacity for raw materials, packaging and finished goods. The first phase of the planned expansion would entail moving from a single production shift to a double shift and then subsequently to a triple shift – all of which would create an enormous requirement for storage capacity. The immediate need therefore was for the installation of a total of 300 racking locations quickly in order to make use of existing warehouse space. The subsequent expansion plans would each require a further 200 – 300 racking locations to be created, using wherever possible the existing warehouse footprint. Due to their status as an incumbent supplier to Phoenix Foods (of annual racking inspections), Acorn was invited to submit a proposal through a formal tender process. The tender resulted in three companies, including Acorn, being shortlisted. Acorn emerged as the winner out of this process, offering a cost-effective racking solution, immediate availability to commence the project planning and scoping work, and a flexible implementation schedule that would allow Phoenix to continue its operations throughout the installation, with only minimal downtime.